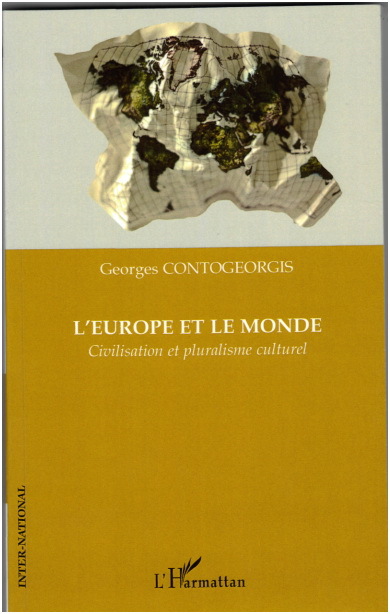 environment of globalization, however, set the relationship between the cultural identification of Europe and its state structure on a new basis. the European Union on bases that are clearly anthropocentric (that is, seated in the perspective of freedom in the individual, social, and political sphere). I. The establishment of a ‘political society’ (or a state) require the union of either an act of power or of general will of the social body concerned besides the international context making the will or act of power legitimate. 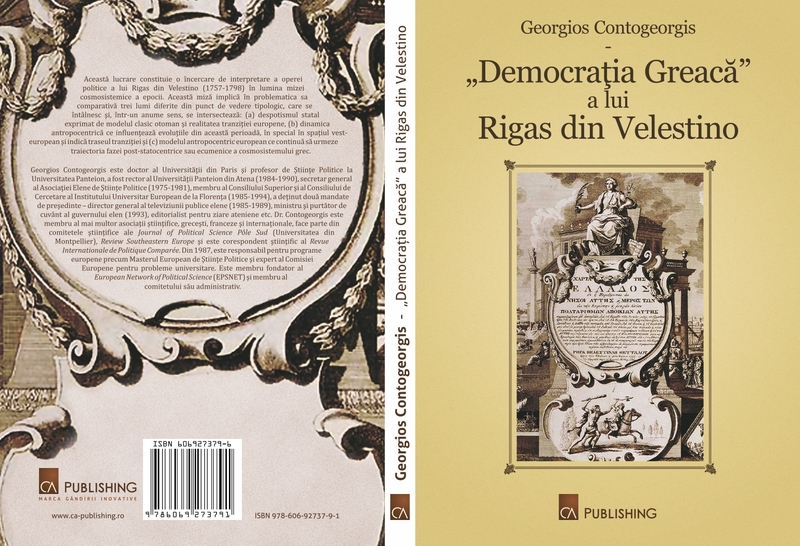 fact that it is not federalism – or rather a meeting point between societies within a common political framework – in crisis, but a socio-political system of genuine socialism that has entailed the crush of federalism in the Soviet Union and Yugoslavia. The European Union is an unforced political experience issued by the political will of its Members. I mean the ‘countries’ and not the ‘peoples’, as the idea of political Europe has been envisaged from the top. It is also an idea going even further as compared to the will expressed by its founding fathers. This remark means that a political Europe has already brought together the material conditions, that is, cultural and material maturity, on the one hand, and has overcome negative reserves and influences, on the other hand. Indeed, the success of this idea on a continent with divisions and bloody wars shows that the basis is very solid and that this project marks the existence of a steady element that the circumstances prevent from expressing itself. On the other hand, just like any idea of a society, the idea of the political Europe does not only have joint bases; at the same time, it has limits that, in this case, influence the deepness of the stakes as well as its own borders. Thus, the project of Europe is meant to define its content and space. Which is the steady element of Europe and which were the circumstances preventing it from being expressed in a political project? The steady element making up Europe is mainly culture and the cultural infrastructure of the continent. Nevertheless, the general cultural reference may fuel the dynamics of moulding a common political will under certain circumstances. In order to put into practice such a joint political project, meeting these conditions is the core of cultural or general identity reference with particular cultural or identity references. II. The general cultural reference represents an idea of Europe essentially settled within the Greek cosmos. This idea is based on the synthesis of two different identities: an idea of cosmosystem and a polity identity. I distinguish between polity identity and political identity as political patriotism may turn into attachment to a political community (the state) or may be expressed on the level of global cosmosystem identity, that is, outside basic polity form. 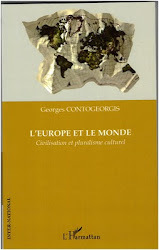 The growth of the European idea and its elements, as well as its stages has been confronted with two great elements favouring division: one is the passage of Western, or rather Latin, Europe to Middle Ages; the other is the features and conditions of the continent’s transition to modern times. 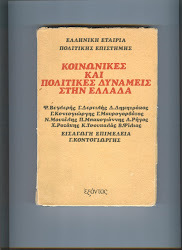 The despotic transition of Latin Europe has destroyed its more or less anthropocentric nature and decreased the connection with Hellenism to mere Christianity. 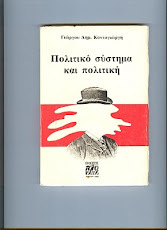 As the revival of anthropocentric movement and its ethnocentric outcome are different as compared to Eastern Europe, they are the origin of power conflicts and a deeply antithetic vision on passage to modernity. However it may be, the research on common cultural basis of Europe starts from a central presupposition regarding geographical identity. From the topographic point of view, Europe is a core cultural factor, a sine qua non condition when analyzing other cultural elements. Europe is opposed to Africa, Asia, and the Americas essentially through its geography. Topographical appurtenance is the initial hypothesis to start the discussion. Conversely, the non-appurtenance to Europe is the formal reason for exclusion. There are communities on the continent that do not culturally belong to the so-called European culture, while others share the European values with a topography lying elsewhere. Besides, geography is a spare argument for countries touching Europe’s borders. It is the argument raised mainly against Russia and Turkey’s joining them: should the borders of Europe be pushed beyond its geography all the way to Alaska or Iran and Iraq? And, in this case, why not envisaging Israel or Morocco and other neighbours of Russia and Turkey join it? endow them with particular symbolisms. 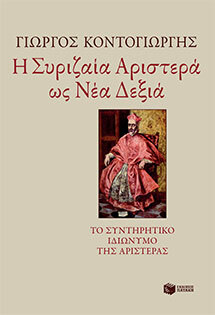 The abduction of Europe (by Zeus) in Asia means at the same time its duty or rather historical dependence and act of birth, its accession to autonomy. Indeed, this automatic act has a deep significance as it reminds the antithesis between the Greek civilization as opposed to the Asian civilization. One is anthropocentric, i.e. based on freedom, while the other is despotic. Europe is an emancipated woman entering the history scene via its accession to anthropocentrism. 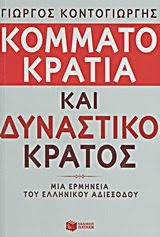 It is important to notice that at the beginning it is not ‘Greece’, but Europe being against Asia. As the Greeks are the only to create and embody the anthropocentric cosmos, the Europeans are barbarians to them. Thus, the Europeans are in a particular position; they are barbarians, yet they are close, familiar to the Greeks. 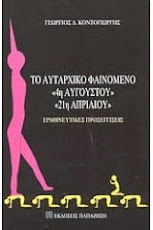 Even after their accession to anthropocentrism, the Greeks would not cease considering themselves Europeans. In its Politics, Aristotle notices that Asia has a penchant for willing servitude embodying the despotic system. The Asian despotism is opposed not only to the Greek anthropocentrism, but also to European peoples that are brave and led by a free spirit according to him. It is clear that behind this opposition there is the antithesis between Asian state despotism and the predespotic status of Europe. Nevertheless, Europe will be part of the Greek core cosmosystem from now on without acquiring an identity characteristic of the continent. 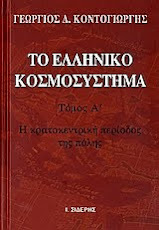 The concept of Europe will be topographic for a long time; it exists with the Greeks but not with the European peoples. The cosmosystemic break after the fall of the Western Roman Empire makes the advantage of continuous contact of the European world with Greek cities disappear and particularly its insertion to the Roman Empire and its conversion to Christianity beyond the anthropocentric city system. On the European continent, there is a return to the cosmosystemic dualism: the Latin West falls into a deep despotism, while the Greek East has a small scale city based anthropocentric cosmosystem. The 9th century marks a turning point within the Greek cosmos that is expressed through a dramatic reconsideration of the geostrategic orientation of Byzantium. These changes are based on organic reintegration of the European West to city small scale anthropocentric cosmosystem beyond the Slavic East in the Christian cultural area (Heller, 1997; Vodoff, 1988). 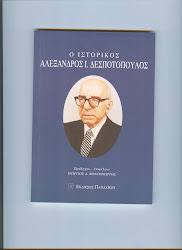 For the first time, the geography of Europe coincides with a fundamental cultural element, Christianity, and participates to the anthropocentric future of Hellenism in terms of peripheral core area. Nevertheless, this cultural union of Europe leads to a cosmosystemic heterogeneity of the continent. The westerners are privileged by the resettlement of anthropocentric parameters leading to the city system: in Italy, the city is an alternative society project facing the feudal system and favouring monetary change. Beyond the Alps, the city is in fact an integrating part of the feudal field, thus being reduced to a commune. Although this evolution has been the efficient cause of passing from the small to the large cosmosystemic scale on a long term, the engaged process of transition from despotism to anthropocentrism is the basis of a new division of Europe that is not to be pursued by the Slavic East. for a reality relating to the conditions of passage to anthropocentric cosmosystem on both sides of Europe. In fact, differences between Catholicism and Protestantism are by far the most important as compared to the ones between Catholicism and Orthodoxy. Moreover, the Slavic Orthodoxy is pledged except for the ritual. From several points of view, it is closer to Catholicism than Greek Orthodoxy, particularly at pre-ethnocentric times. written by Aristotle and Plato, they are not excerpts from the Koran. 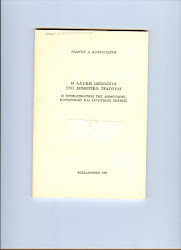 Speaking to the Russians, a Polish Jesuit notices that the Greeks – the Byzantines – provide only liturgical books and keep scholar books to themselves. At the end of the Middle Ages, from Spain to Poland, Europe distinguishes itself from the Slavic Europe and is opposed to the Muslim Arabs. The words of the Spanish bishop reveal not only the difference of religion, but also the anthropocentric inferiority of the Christian Spain. 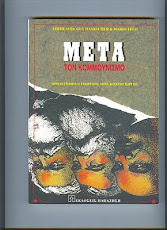 On the contrary, the Polish Catholic underlines to the Russians that they are closer to the Greeks from the Christian point of view, while the Poles are close from the point of view of the Greek literature. 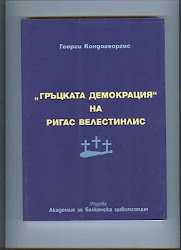 between Churches on primacy concerning the influence on the metropolitan power of Byzantium and the social power claimed by the Roman Church. is clearly wider and different in concept as compared to Europe: one is geographical, the other is cosmosystemic. 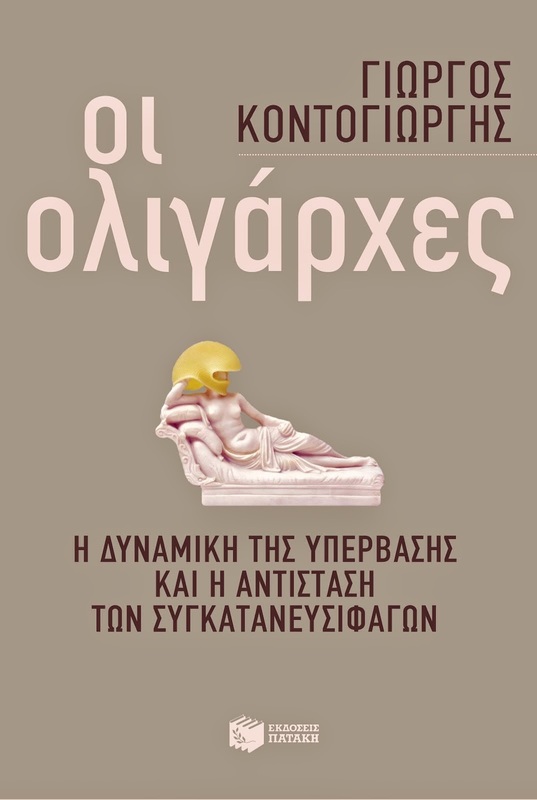 Indeed, the Hellenic anthropocentrism is opposed to Christianity in this sense. Crusades are revealing for two elements drawing the attention of Western Europeans: the Islam and the Byzantine anthropocentrism. The Islam is the religious other that has moulded the European unity at the beginning. Westerners would support the Byzantines when facing difficulties to control the holy places. The anthropocentric Byzantium cause admiration and jealousy of the Western feudal class at the same time. 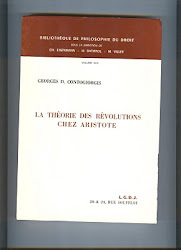 It is a role model; at the same time, the feudal class is aware of their fate when facing its anthropocentric superiority: the serf versus the free man, the notable concerning the cosmopolite bourgeois and the civil servants (Contogeorgis, Histoire de la Grèce. For controversies on crusades, see Cohen, 1983; Alphandéry, Dupront, 1995; Maalouf, 1983). the crusaders are the paramount meeting in point of consequences. Yet at the same time, it leads to a deep division of Europe that, although cosmosystemic at the beginning, turns into a doctrine symbolism. who confine themselves to a state feudalism until the beginning of the 20th century. Thus, religion is at the same time a fundamental identity element and a division element in Europe. Nevertheless, internal identification of Europe including Christianity is settled based on the Greek cosmosystem politically managed by the Roman cosmopolis. It is the same basis that legitimates the solidarity against the other, which is the Arab and Ottoman Islam. We should not forget that the Arabians identify Europe with “Roumis”, that is, Byzantines. This holds true for modern times: religion has largely helped hiding or supporting cosmosystemic antagonisms opposing the European peoples. Anticlericalism or Protestantism express each by itself the clashes entailed by the pledging of the Catholic Church or by the developed dynamics of the new anthropocentric social classes in the West. We have to mention that Church division is due to the cosmosystemic and thus political division of Europe. Conflicts occurring on the continent oppose particularly counterparts from the point of view of the doctrine. This holds true for Catholics or Protestants, as well as for Orthodox. Russia’s case is interesting: until the Crimean War, Russia plays on Orthodoxy embodying Hellenism; consequently, it invents pan-Slavism and the nationalities’ project. Thucydides is clear about it: the internal and external affairs of the countries need justification to be legitimate, yet they are always conditioned by interest. 1. Thus, we presume that from a certain moment on Europe has reached cultural borders connecting them to its geographical position just like differing endogen interests preventing it from identifying itself around its own identity. Chasms favoured by anthropocentric emergence of Europe focus on identity conflicts originating in national issues, the will of different ethnics to be politically invested and the fight to control the European space. On the other hand, the belated anthropocentric transition of the Slavic Europe brings another source of conflict, that of the path to follow to break from despotism and the content of the new world. The Bolshevik revolution and the division of Europe into two sociopolitical sides express this reality. the anthropocentric aims (liberties, rights, etc. ), the manifold symbolisms issued by religion, traditions, memories, etc. It is this new geopolitical reality that is at the origin of the endeavours of some American circles to elaborate a philosophy of the history based on religion or rather on the religious element of civilization (Huntington, 1996. For a critical approach of his hypothesis, see our survey Huntington et ‘le choc des civilisations’. ‘Civilisation religieuse’ ou cosmosystème ? 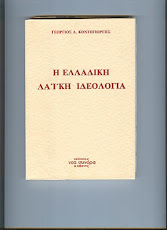 », Revista de Historia das Ideias, vol. 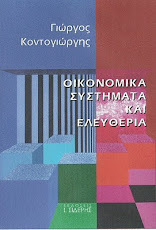 24/2003). To interpret historical evolution through religion, to see evolving anthropocentric proximity of a society depending on religion is undoubtedly absurd and eventually meant to support geostrategic aims. At a first glance, the projection of religion as argument for identity offer does not appear in the policies of the European Union in point of enlargement. However, it influences certain intellectual circles on the continent and has largely supported disfavoured social classes to find a refuge and feel at home when confronted with deep mutations of contemporary world. It is also anthropocentric homogeneity of the world and research of difference in external symbolism that allows the emergence of a trend to define the European civilization and identity and more strictly the Western one in terms of religion. Indeed, we can see that it is more and more about Judeo-Christian identity breaking away from the Greek-Roman anthropocentric references. Nevertheless, even if we admit the European identity as a religious base for pondering, we need to question the content of this religion. Yet, the difference between Christian religion and the Judeo-Christian project is deep on a conceptual level. Christianity defines the synthesis of the new religion according to a Greek-Roman vision of the world or the anthropocentric version of a religion of a typically despotic conception. 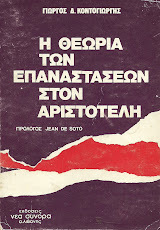 Thus, the first element, ‘Judeo-’, hides that Christianity is based on opposition to Judaism and particularly to its origins in Asian despotism (Contogeorgis, 2002). Moreover, stress laid on the ‘Judeo- Christian’ concept may be an attempt for the Islam to remind its ‘Judaic’ bases and define itself as a ‘Judeo-Muslim’! it. Thus, it has no interest in returning to it particularly as it does not facilitate the elaboration of a viable argumentation concerning Russia, as the latter may legitimately claim its Judeo- Christian identity basis. 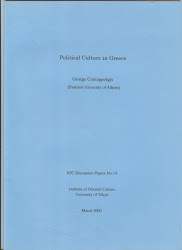 Indeed, the abovementioned considerations show that if religion is one of the pillars of the European civilization common basis, it is not due to its despotic ‘Judeo-Asian’ origins, yet it is due to its cultural basis coming from its osmosis with the anthropocentric Greek- Roman civilization (Contogeorgis, 2002). From this point of view, the despotic cosmos belongs to a certain history of Europe – not as a whole – but not to its global historical identity or its modern anthropocentric status. Moreover, when looking into the European churches, one realizes that Christian religion has adapted to despotism, has served it, but has not been the cause of its transition to despotic cosmosystem. From this point of view, Christianity is an element of union or division of the European world according to the cosmosystemic adventures of the latter. Thus, if religion is mentioned relating to European identity, it is not certain that it can support unity under the current circumstances. The insistence on religion could have facilitated an understanding amongst the adepts of different Christian doctrines. Besides, as history has shown that the Christian schism was deeply political, the reunification of Europe will support unity if not understanding amongst Churches. Yet it is as certain that Christianity risks being a factor of exclusion as Europe will no longer be Christian or even not solely Christian. This means that European Union will be carried out on an anthropocentric basis before turning political. In other words, it will be the result of the anthropocentric meeting of the European peoples and not that of ecclesiastic reconciliation. As early as the 1960s, R. Aron noticed that the socialist side – Eastern Europe – was merely a version of the West (Aron, 1962). He meant that the bases of genuine socialism were anthropocentric and, we may add, belonged to the same path of transition issued from a small scale anthropocentric cosmosystem, that is, the Greek-Roman world. The fall of socialism – and state liberalism – has updated the anthropocentric aspect of the European identity, particularly the fact that hence there are no longer two, but one Europe sharing the same socio-economic and political system from the cosmosystemic point of view. In this new context, the issue of European geography and culture returns to the agenda in a dramatic manner. At the same time, we can see that the European anthropocentric acquis is no longer its privilege as it has become universal. 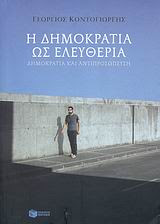 To overcome chasms caused by the transition from despotism to anthropocentrism and the new European Union following question is raised: is it necessary to bring up the cultural argument including geography to build a political Europe or meeting the newcomers in the polity based Central and Eastern Europe market system? It is precisely this major question that settled the issue on the enlargement criteria fuelling the Union integration wave of ten Central European and Mediterranean countries. Indeed, the cultural argument facilitates the integration of the former socialist countries to the European Union, whether Catholic, Protestant, or Orthodox. The polity argument is based on the cultural element or even on the same geography giving way to anthropocentric harmonization: in economic and political issues and particularly in point of assimilation of fundamental rights and liberties. The first option acknowledges the existence of a certain unbalance from the point of view of anthropocentrism between the EU countries and the others; yet this unbalance does not disturb the way the Union works. The second option requires that harmonization is an accession presupposition and concludes that it cannot follow integration. This means that the European Union settles the accession conditions to the new countries. Essentially, this dilemma refers to the European Union internal chasms focused on the issue: what kind of Europe do we want? A rather economic Europe interested in founding an area of free market, or a Europe made up of a well structured political system with its own values and identity with a federal and even a sympolity structure, if possible? Without solving this issue, the recent enlargement has been more or less directed by the first priority and undoubtedly conditioned by geopolitical considerations. Indeed, the economic borders can go beyond the political borders of the European Union. strategic interests of the countries making up the European Union and to the international power relations. The current compromise, enlargement and attempt to build a polity Europe at the same time, show that the Member States have not yet elaborated a clear idea on the future of the European system. Nevertheless, it seems that the partners of the European mission will soon face real issues as the European Union will be compelled to envisage its place worldwide – and thus its relations with the United States – as well as its relations with Russia and Turkey. 2. Geopolitics is the fourth pillar in the process of European construction, the three others being geography, culture, and anthropocentric and polity deepening. We have already noticed that the political project of Europe is the result of a geopolitical cause: the dramatic change of the international order at the end of WWII leading to a feeling of powerlessness and insecurity throughout Europe, the former mistress of the world. It witnesses the fall of the colonial system and feels the risk of being crushed in the middle of the new bipolar system, a system reserving a secondary place at the same time menacing the liberal system, considering the antagonism with the socialist rival. Divided by its opposing political and socio-economic systems, Europe cannot afford to play between the two considerable protagonists. The UN power shared by five is there just to witness a definitely past finished. The political Europe sheltered by the United States is compelled to envisage the issue of its borders from the point of view of its ideological/political system. The fall of the ideological-political bipolarity makes Europe rediscover its own geographical borders and question its own cultural affinities. At the same time, it faces the new international order that is almost unipolar. The research of a new role on the cosmosystemic scene necessarily raises the issue of settling a certain partnership with its former and hence the only ally, the United States. Right after the fall of the socialist system, the political Europe sees its understanding with the United States as a great opportunity to reject the Soviet Empire and expand its vital space to the Russian borders. The integration of Eastern countries largely responds to this geopolitical priority. Thus, the geo-cultural argument supports perfectly the European Union to lay foot on the core strategic pillars, such as Finland, Poland, South-Eastern European countries, as well as Cyprus and Malta. An internal economic space is created to act as an economic engine of the hard nucleus of the Union. This enlargement of the European political space raises two questions: one is internal, while the other is external. The former is related at the same time to its own identity and political balance. The encounter of the political Europe with a former socialist Europe raises the question of its character and finality. The dilemma of a rather economic or polity Europe reveals an issue on the European Union’s priorities. Should we go to the bottom of anthropocentric acquis and, in this case, take actions of harmonization of the new partners or should we limit ourselves to creating an internal vital space, an endo-polity periphery? On the other hand, the new cosmosystemic environment characterized by a growing anthropocentric standardization can cause an identity crisis in Europe. Indeed, if the anthropocentric acquis is universal, how can political Europe reaffirm its originality all the more as it cannot express itself with its own national identity? One can even say that this remark is also valid in point of the will to support its worldwide geostrategic cause. In a bipolar world, the concept of West has served the project for a common identity around the liberal system. In the new unipolar system, the idea of West risks helping to prolonging the dependence of political Europe on the United States, as well as the conflict on a religious basis. to a polity entity and the state as a sole political home of the national act. It is a concept of the country of Europe that can assert itself as compared to the “Other” present from a geopolitical point of view, in this case the United States and even Russia. The exclusion of Russia from the European Union will not take place as it is not European; it is simply very large and therefore it risks to break internal balances. Thus, the geopolitics of the European Union settles the boundaries of Europe’s frontiers. Yet, geographical and cultural borders of the Old Continent are the external limit of any ambition of political Europe. However, it is not up to them to make a decision on the political borders. It is precisely in this discrepancy that internal and external geopolitics comes up. It is an intervention that is not meant to prevent the European Union from claiming its European identity particularly as polity Europe includes core elements of the geo-cultural pillars defining the concept of Europe. Nevertheless, geopolitics says that the political borders of Europe cannot under the given circumstances coincide with geographical and cultural borders. This reserve (‘the given circumstances’) is not advisable due to a scientific caution, but due to the fact that the issue is not closed at least on a rhetorical level. We should mention Charles de Gaulle speaking of a Europe including Russia for geopolitical reasons, that is, to counterbalance the United States of America. I cannot imagine how this project can be carried out at least on a mid-term basis. Yet, on a long term, it is not out of the question particularly if China enters the international scene forcefully and if Europe is endowed with a polity system and a strong identity reference. On the other hand, the fear of a shift of internal power breaking the existing balance within the Union, as well as the issue of strengthening identity, socio-economic element and politics of the polity-oriented Europe can prevent the accession of Turkey or cause regulating enlargements, such as the accession of Ukraine. But in this case, we would no longer be able to envisage a polity-oriented Europe. In conclusion, cultural Europe is the long-term by-product of the Old Continent based on four pillars: a) geography, b) culture strictly speaking, c) anthropocentric acquis, d) internal and external geopolitics of the European Union. the perspective of geopolitical considerations. As more often than not geopolitics is a primary yet too rough argument, geography and culture will be invited to justify political choices. Thus, the return to primary sources of European identity will be topical for as long as internal chasms compel political Europe to balance between strengthening polity and the conception of a cowardly market partnership. Considering these elements, we have to remember the remark according to which elements belonging to culture and identity have not been a priority for the union of Europe unless threatened from the outside. 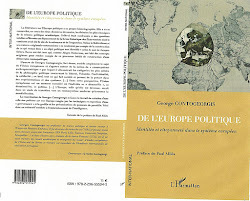 Consequently, we can assume that the borders of the political Europe will be the result of a synthesis of geo-cultural Europe and geopolitics, that is, a political compromise of the Europeans considering more or less the internal force relations relating to the polity project and the global cosmosystem. Huntington, Samuel, The Clash of Civilization and the Remaking of the World Order, 1996. In Eurolimes, 9/2010, p. 11-20. I make reference to the phenomenon of sympolitéia occurring at the ecumenical epoch shortly before the Roman conquest. 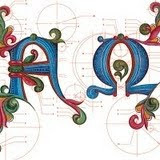 The most important representatives are the Aetolian and Achaean sympolitéia. We have to notice that the foundations of the European Union resemble the sympolitéia rather than the modern federal structure. 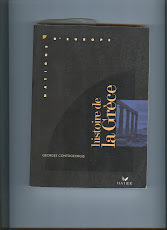 For the concepts of polity, political, cosmosystemic or ecumenical identity and their relation with national identity, see Georges Contogeorgis, Histoire de la Grèce, Paris, Hatier, 1992; «Identité cosmosystémique ou identité nationale? 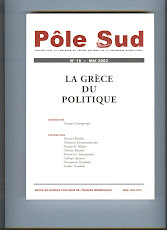 Le paradigme hellénique», Pôle Sud, 10/1999:106-125; and«Identité nationale, identité politéienne et citoyenneté à l'époque de la mondialisation», in Maria Manuela Tavares Ribeiro (dir. ), Europa en Mutaçao: Cidadania, Identidades, Diversidade Cultural,Coimbra, 2003:150-174. 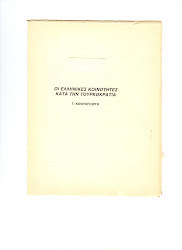 Before the anthropocentric implantation of Byzantium into the West, Christianity used to be one of the most important elements for the Hellenic belief, mentality, institution, etc. to the European peoples. 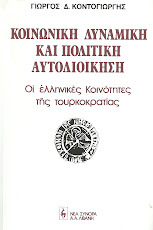 Thus, despite the pledging of Latin Europe after the fall of the Roman West, its preferential connection with the Greek world is still preserved through the action of the Church. Aristotle attributes this difference between the European and the Asian man depending on climate. Europe is cold, Asia is hot, while Greece is midway, having a temperate climate. 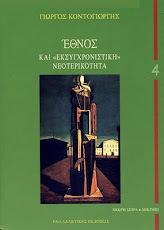 Focusing his interest on the city, it is obvious that Aristotle makes general remarks that they do not depend on a global theory on the evolution of the world. Rebirth and reincarnation in one form or the other has been the bases of all religions. Radhasoami faith guarantees liberation of soul from the cycle of birth and death in maximum four births. All religions have their own views on reincarnation. Effort is to create awareness to bring about objectivity and uniformity with regards to reincarnation and emancipation. It becomes important in view of the fact that Christians and Muslims share about half of the world’s population. 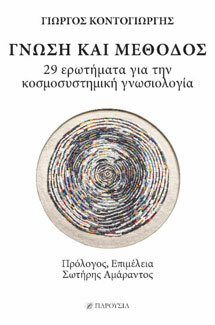 25 Αυγούστου 2010 - 5:21 μ.μ. 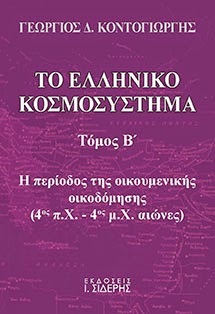 28 Σεπτεμβρίου 2010 - 12:54 μ.μ.